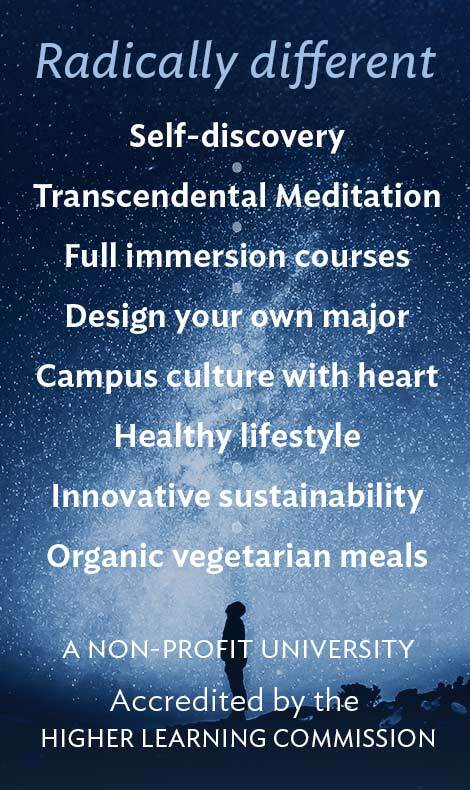 You may qualify for academic credit for your Transcendental Meditation (TM)® course from Maharishi University of Management (MUM). See the description of the courses. 1. Fill out the short online MUM admissions form for these courses. 2. Complete the 7-step TM instructional program with your local TM Teacher. 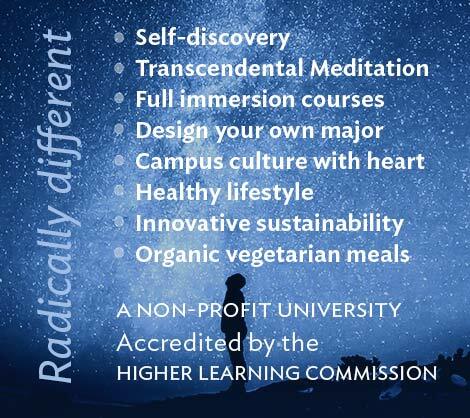 ED 101/501 TM Course, Part 1 (one credit) consists of the seven steps of initial instruction, a ten-day checking of your meditation, two follow-up meetings, a separate personal checking meeting, and homework selected by the teacher. ED 102/502 TM Course, Part 2 (one credit) consists of two group meetings for checking of your meditation to review correct practice and reflect on the personal benefits, two personal checkings, and a log of your regular practice of TM at home for two months. 3. After you finish all requirements for these courses, remind your TM teacher to complete and submit your academic progress form to the MUM Enrollment Center. Completing both ED 101/501 and ED 102/502 will enable you to earn two academic credits (semester hours) from Maharishi University of Management.